This weeks clue was the Daisy Stitch. It’s different than the last couple of weeks because of the four row repeat until you get to six inches. 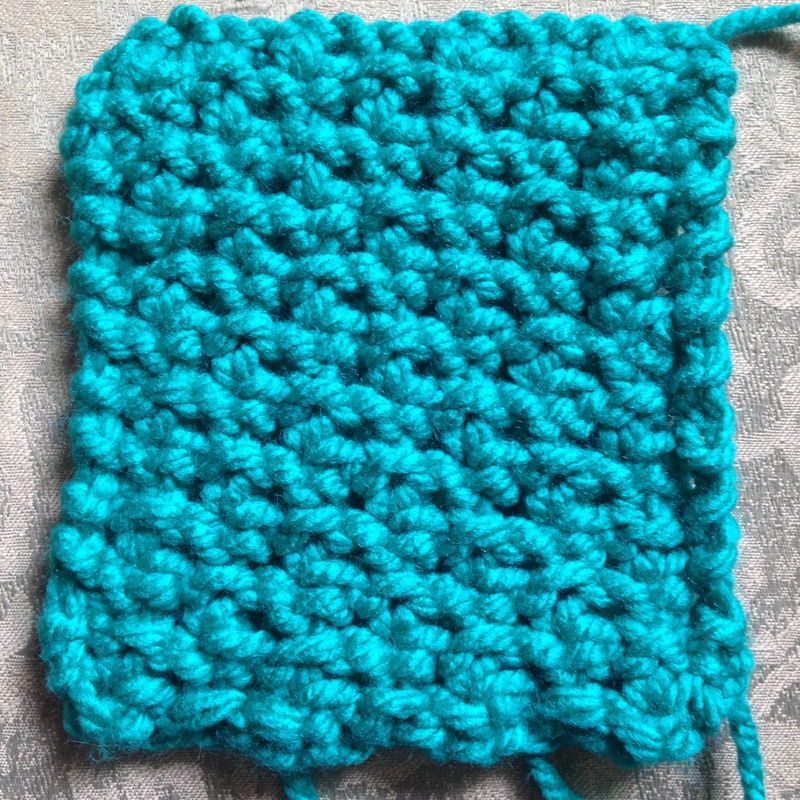 I do like this stitch but the video was necessary in understanding what to do and how to do it. Also the instructions just said to do the Daisy stitch without written instructions. Even the chart just says Daisy stitch. It definitely helped and now I’ve got it. The thing about the Daisy Stitch is that the WS is where all the work is done. It’s really interesting because the RS and the WS are so distinct. The pattern is a 4 row repeat. I repeated them 5 times and then row 1 and 2 to get to the six inches and then cast off. It’s really important to stay loose and keep an even tension through out. 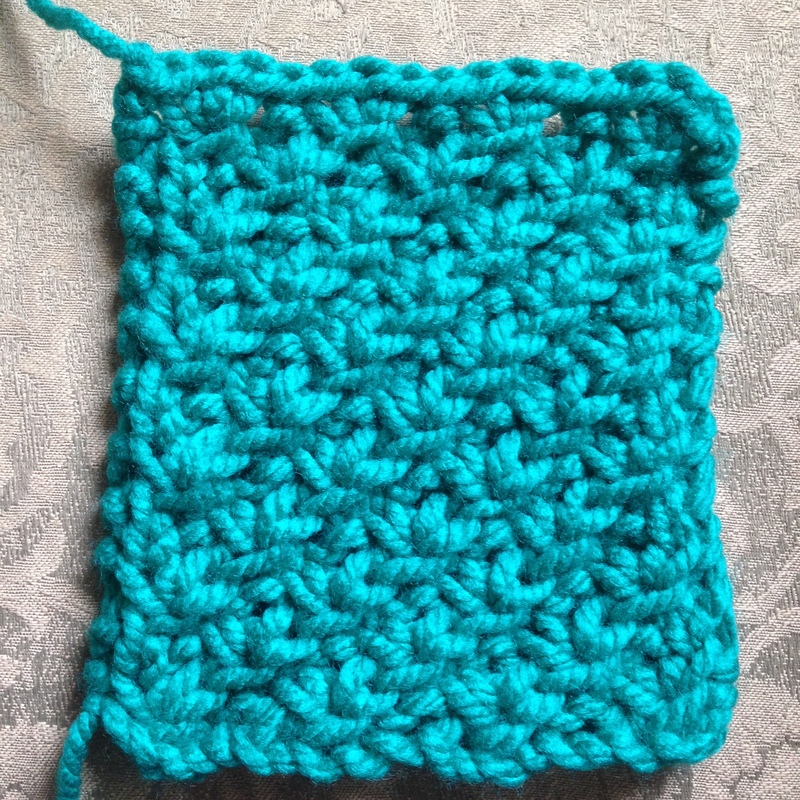 It sort of ends up a little rectangular but when I stretched it a bit it became more of a square. I have to make 8 squares but I only have 4 done so I have to get working. Update on last weeks clue, the instructions were to make 8 and I only had 4 done when this weeks clue was released. My mom has taken them over and she has two left to make. I can’t find the KAL #4. I like Yarnspirations on Facebook and the post the link to the clue on Tuesday. Where are you not finding it?